UBUY Taiwan is happy to launch its new showcase of Class GH Amplifiers designed by Robert Zeff at Nikola Engineering. Take a look at the large selection of GH Amplifiers UBUY has to offer. All available to be customized to meet your needs. We would also like to showcase our DSP-8 Amplifier. 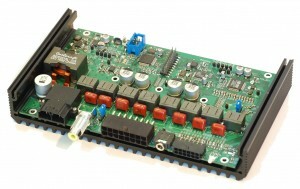 This little guy is an 8x40W (320W Total) amplifier with a high quality DSP front end. Check out its product page for some screenshots of the tuning application.